 63 Scouts from Troops all over Wakefield descended on Aldwark over the weekend of 26th to 28th September 2014. On the Friday night the Night Hike started off the weekend before supper. On Saturday morning the Scouts were split into four groups so they could work towards the Basic Nautical Skills badge or their Nautical Skills badge. In these groups the Scouts who were going for Basic Nautical Skills practiced land based skills around the parts of boats and throw lines. The Scouts then moved onto the water in canoes and kayaks. Some practiced their paddling skills with games and activities and others just wanted to fall in!! The Scouts going for their Nautical Skills built rafts out of barrels and rope and took part in a river trip in canoes. Saturday evening the Scouts and leaders practiced their knotting skills, had a go at making paracord turkshead woggles and for the first time practiced with some Bosons Pipes. On the Sunday morning the main aim of the day was for everyone to try a different craft from what they tried the day before and also to have a go at capsizing in a kayak. Most Scouts who attended gained either their Basic Nautical Skills badge or Nautical Skills badge and had a fun and enjoyable time whilst trying. The Scout section would like to thank members of the Scout Active Support Unit for their support with the catering at the camp and also the crew at Aldwark for creating and running such an adventurous program for the weekend.